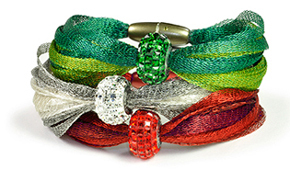 Let the merriments begin with this Holiday Trio (Holly, Silver Bells, Poinsettia) from the Charisma Collection. 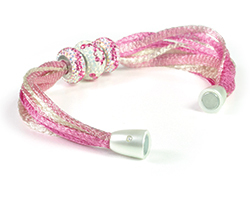 Each bracelet is designed with TWO harmonious colors of 3mm WireLace, a Swarovski BeCharmed Bead and an Alacarte Simplicity magnetic clasp. 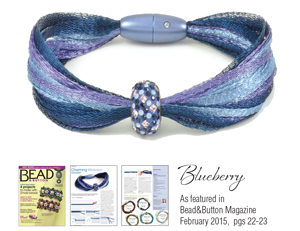 Select from our WireLace 3-color blends below or create your own, then select BeCharmed Beads and a Simplicity Clasp color to complete the look. 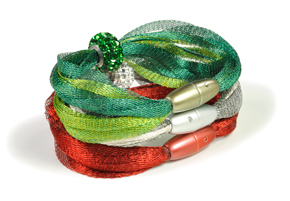 3mm WireLace is sold in 5 yard spools, enough to make TWO 7 1/2" Holiday Trio bracelets in the same color. Use 2-part epoxy for gluing into the Simplicity clasp. 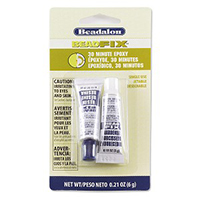 To buy 2-part epoxy scroll down. 3mm WireLace is sold in a 5 yard spool per color. Each spool (5 yds) will make ONE 7 1/2" bracelet. 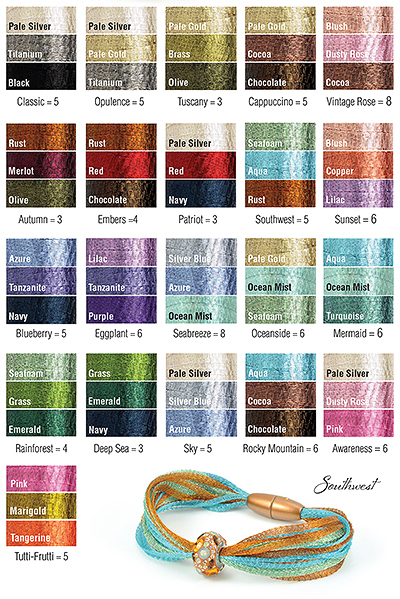 So, the 3-color blends will make THREE 7 1/2" bracelets (or ONE 21 1/2" necklace). See instructions for more details. Use 2-part epoxy to glue WireLace into the Simplicity clasp.